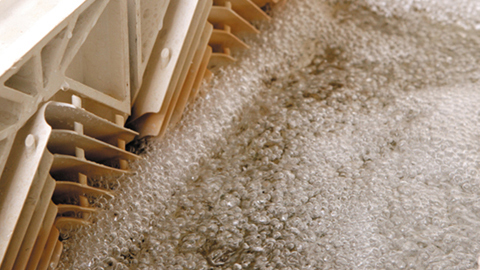 The ESC is the only process in the world that can remove colloidal solids consistently from Synthetic and Oil-Based Mud. With the ESC system you can program the desired density output on the human machine interface to your exact customer density specifications. The result is exactly what you require, which results in huge savings. 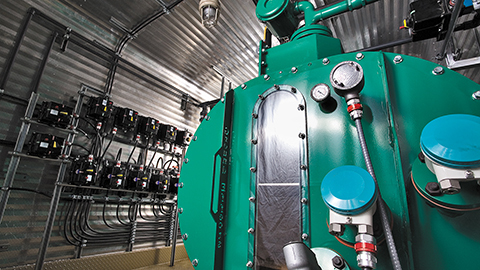 GEE’s Dissolved Air Flotation (DAF) system is a highly efficient treatment for the separation of suspended solids and oil and grease contaminants from wastewater. 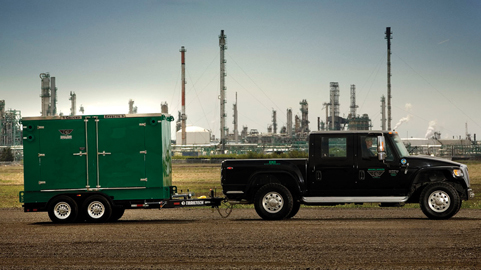 The compact GEE DAF system boasts high removal rates, 99.9% runtime and a robust design. The compact DAF can either be integrated in a complete solution or offered as a single product for your wastewater treatment. 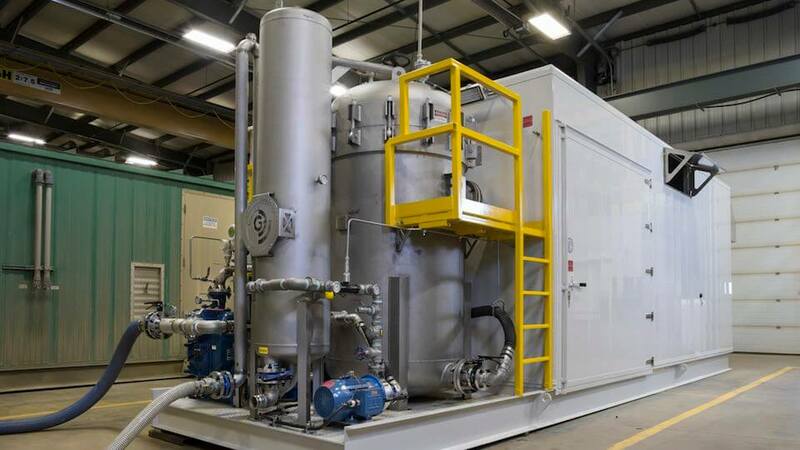 Replace slow and less effective Dissolved Gas Flotation (DGF’s) for oil & gas wastewater treatment with the explosion-proof Dissolved Nitrogen Flotation (DNF) system. 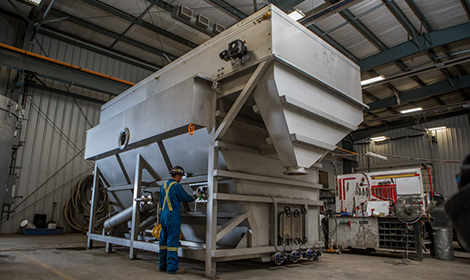 The GEE DNF uses nitrogen to completely eliminate the possibility of an explosion, while being a highly efficient pre-treatment step for the separation of suspended solids and oil and grease contaminants from wastewater. 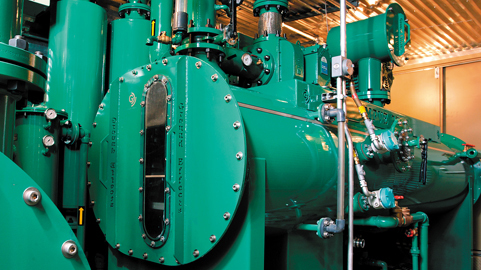 GEE O/W Separators are built for high-efficiency, increased removal rates and low-maintenance. We know achieving optimum runtimes and lower costs is important to your project and we deliver. Plus, we use M-Pak coalescing media and/or Diffused Air Flotation (DAF) for maximum efficiency and easy clean out. 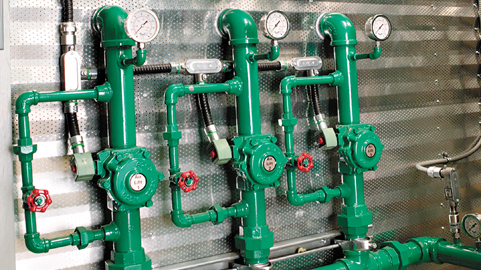 An array of flow rates and sizes are available. 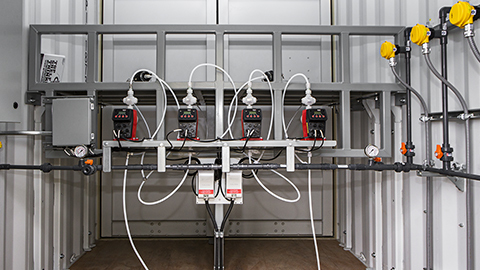 The GEE EK3 Electrokinetic Remediation System is a proprietary in situ remediation system for salts, metals, hydrocarbons and chlorinated hydrocarbons in soil and ground water. A GEE-patented technology, the EK3 is an extremely effective and proven alternative to the ‘dig and dump’ approach to groundwater and soil contamination. At every step, our team focuses on making our equipment powerful, versatile and easy to maintain. 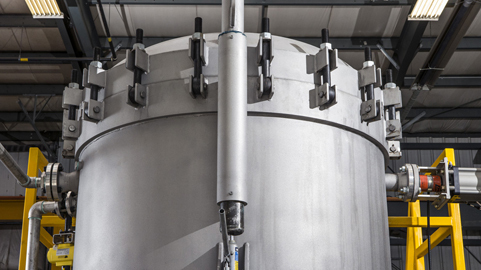 Our Multi-Phase Extractor 2700 Series is another example of our innovative design in action. 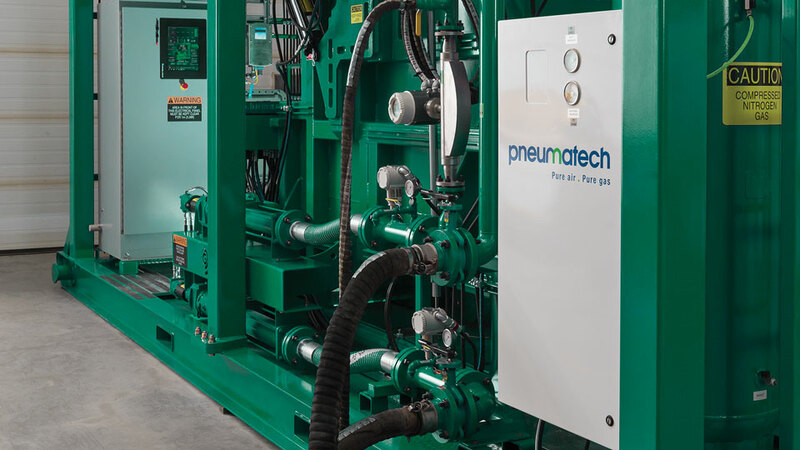 Our integrated treatment system incorporates an oil/water separator and vacuum air stripper in one system, reducing maintenance. This extremely quiet unit makes it ideal for operation in residential areas. Meet the MPE-XP (Extra Performance). The XP contains our most innovative MPE thinking in an extremely small system (12 feet by 6 feet, to be exact). With the same power and efficiency (a 99.9% runtime) of a larger GEE model, the MPE-XP is perfect for any in situ remediation in either hot or cold climates. And the biggest thing about the XP…is its small price. 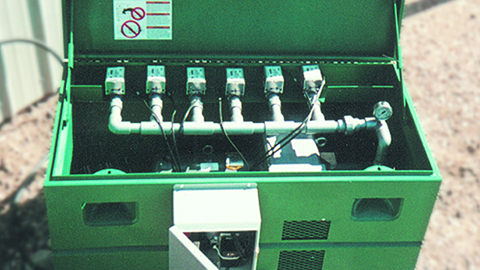 GEE’s Nutrient Injection System injects nutrients into soil formation to enhance microbial activity. The GEE approach accelerates the bio-degradation process in saturated and vadoze zones by supplying a nutrient source for indigenous microorganisms in hydrocarbon and nitrate sites. For nitrate sites, we inject a cocktail of bio-supplements into the soil formation to reduce nitrate contamination by increasing anaerobic bacterial populations. Designed to pneumatically fracture tight soils such as clay, the GEE PFS causes fracturing by injecting air (or gases) at a pressure exceeding the natural strength and in situ stresses already in the formation, thus creating more pathways for our MPE system to use. 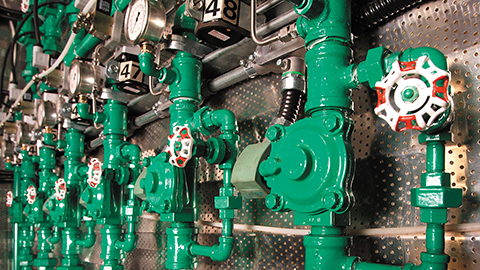 The result is increased efficiency, reduced remediation time and reduced costs. Exclusive innovation to GEE, the Pneumatic AirLift System (PALS) is an easy-to-use, cost-effective downhole fluid-lift system and remediation enhancing technology. When you add the PALS to your existing GEE equipment, what's good gets even better. The PALS keeps the wells free of silts and can lift fluids up to 150 feet. It helps develop well sites faster and it replaces expensive systems such as pneumatic and electric submersible pumps while achieving amazing results. Plus, PALS can be utilized in vertical or horizontal applications. 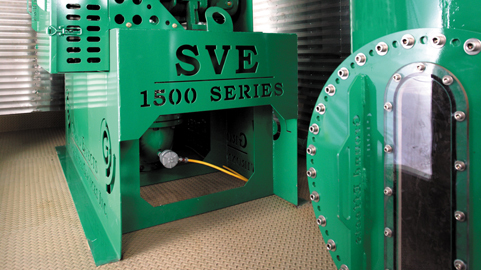 When used in conjunction with the GEE MPE / Pneumatic Fracturing Systems (PFS), PALS increases efficiency significantly and is successful in dewatering wells up to 150 feet.